^ 1.0 1.1 1.2 1.3 1.4 1.5 1.6 M 7.7 - Scotia Sea. 美国地质调查局. 2013-11-17 [2019-02-06] （英语）. ^ 2.0 2.1 2.2 斯科舍海7.8级地震. 中国地震台网. 2013-11-17 [2019-02-06]. （原始内容存档于2014-04-08） （中文（简体）‎）. ^ 3.0 3.1 M 7.7 - Scotia Sea - Moment Tensor. 美国地质调查局. 2013-11-17 [2019-02-06] （英语）. ^ 4.0 4.1 4.2 M 7.7 - Scotia Sea - ShakeMap. 美国地质调查局. 2017-10-13 [2019-02-06] （英语）. 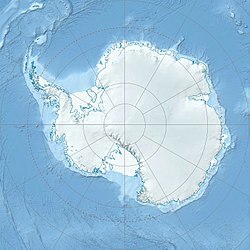 ^ 南大西洋斯科舍海今天17时04分发生7.8级地震. 闽南网. 2013-11-17 [2019-02-06] （中文（简体）‎）. ^ Livermore等 2005，5. Eocene opening, pp. 465, 467（英文）. ^ Livermore等 2005，2. South America-Antarctica plate tectonics, p. 460（英文）. ^ 南极洲附近海域发生7.8级地震. 人民网. 2013-11-17 [2019-02-06] （中文（简体）‎）. ^ 南极洲斯科舍海发生6.8级地震 震源深度9.98公里. 腾讯新闻. 2013-11-16 [2019-02-06] （中文（简体）‎）. ^ M 7.7 - Scotia Sea - Origin - Magnitudes. 美国地质调查局. 2014-01-31 [2019-02-06] （英语）. ^ Scotia Sea - 2013-11-17 09:04:57.2 UTC - 7.5 (Mw). 德国地球科学中心. 2013-11-17 [2019-02-06] （英语）.